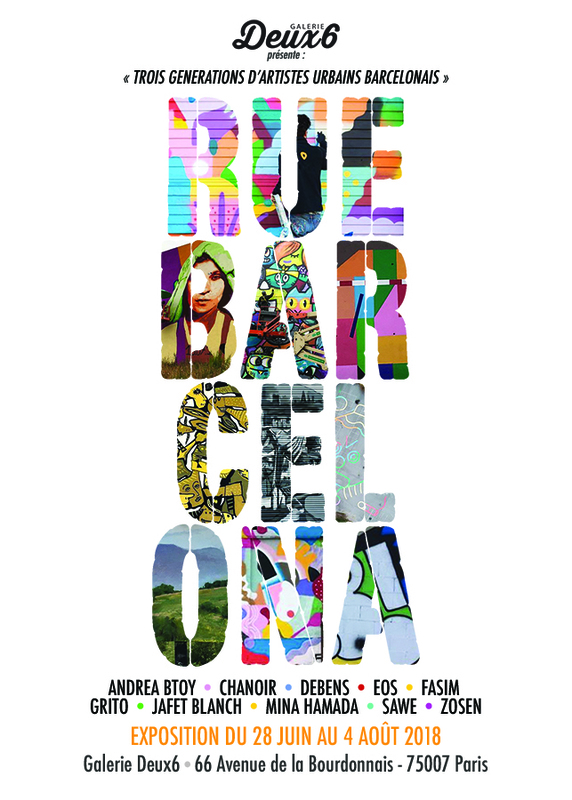 Motörhome is a joint project of Barcelona urban artist and Paris resident Debens and globe-trotting photographer Stephan Gbureck. 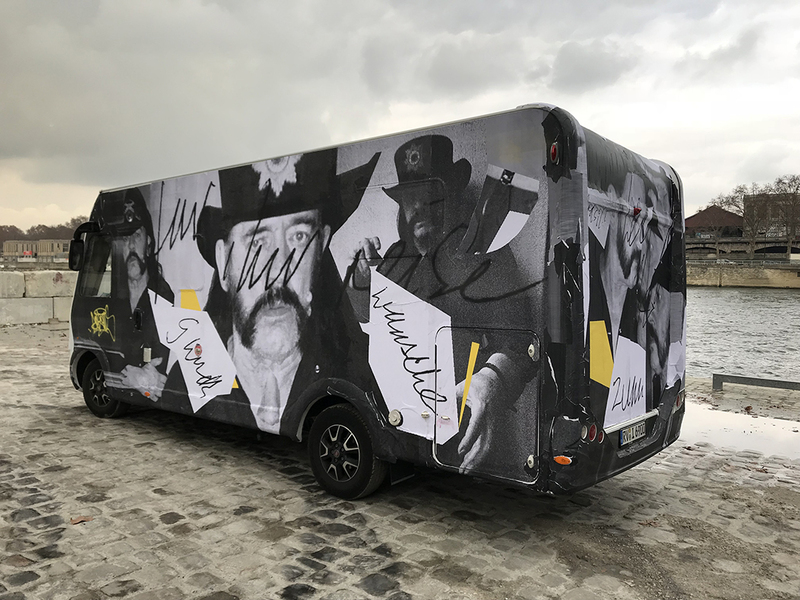 Both unite their creative universes to design a unique and original project with the aim of paying tribute to who many consider the father of hard rock, Lemmy Kilmister, leader of the mythical English band Motörhead, who passed away in 2015. 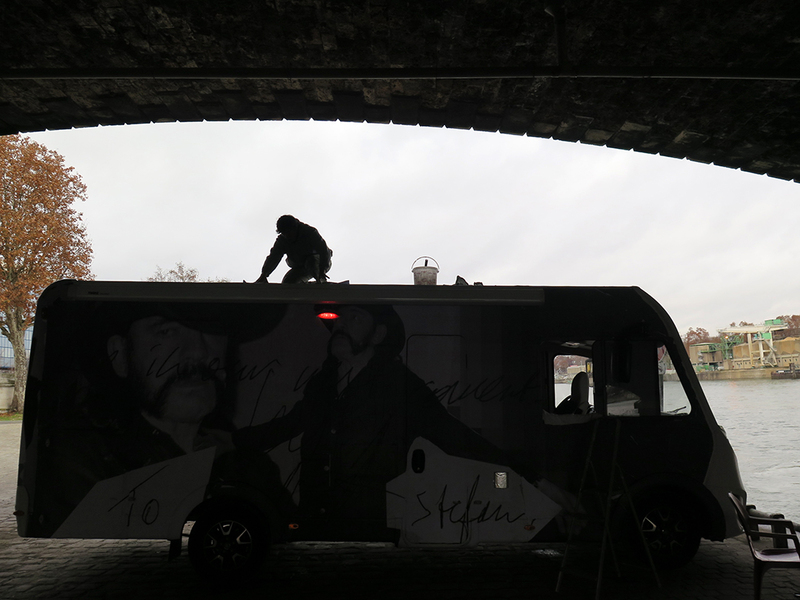 Debens completely decorated the exteriors of the motorhome with which Gbureck has been travelling all over Europe in recent months. 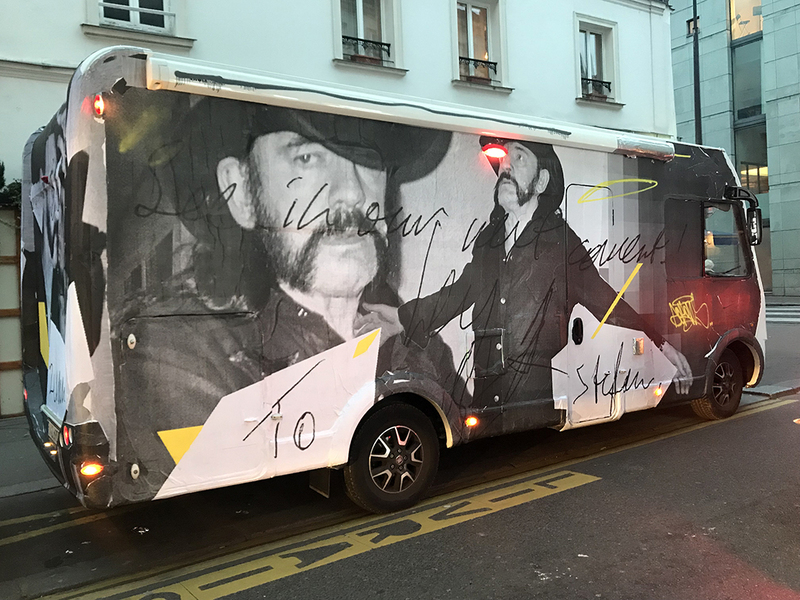 Debens made a collage of about 50 m2 with unpublished photographs that Lemmy himself took in Los Angeles with a camera that Gbureck -with whom he had a close friendship- sent him shortly before his death. 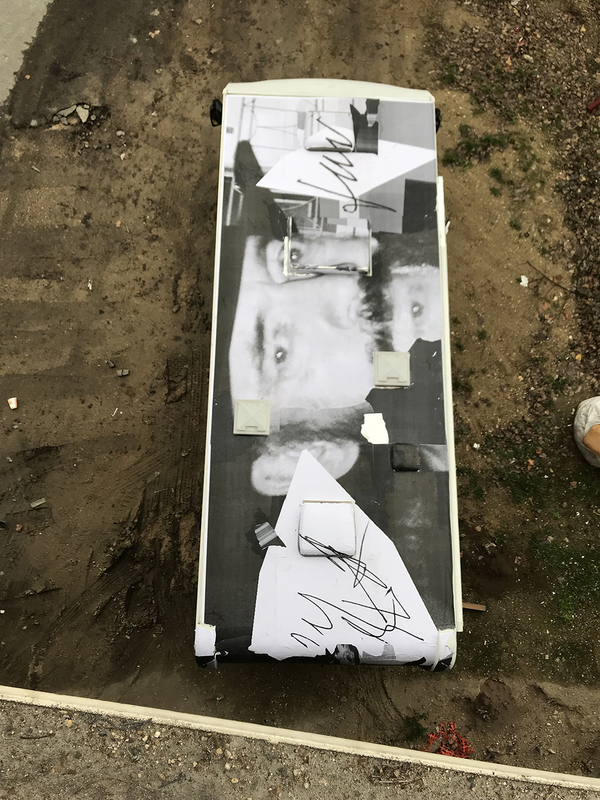 To these black-and-white printed photographs, Debens added aerosol paint creating different geometric shapes and spontaneous strokes, playing with the composition of the images and the structure of the motorhome. Special thanks to Isa and Jon. 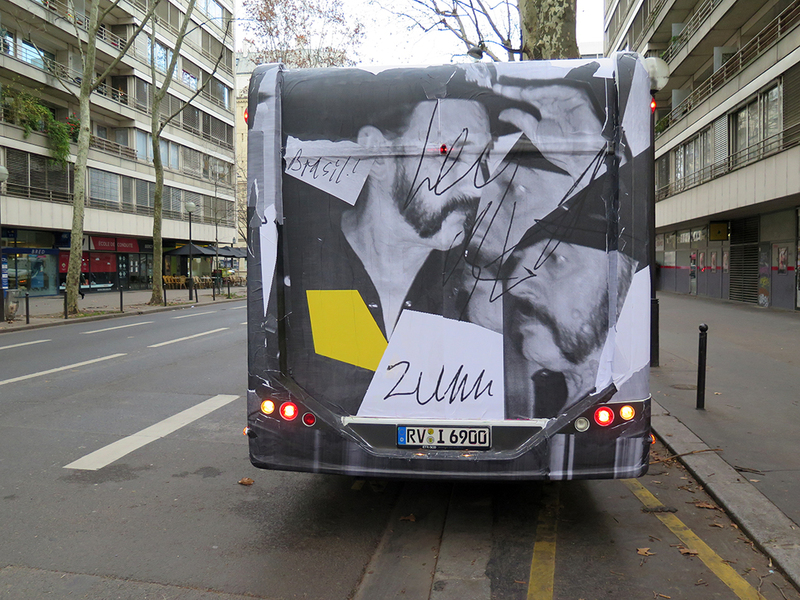 Debens & Stephan Gbureck, Paris, december 2018.